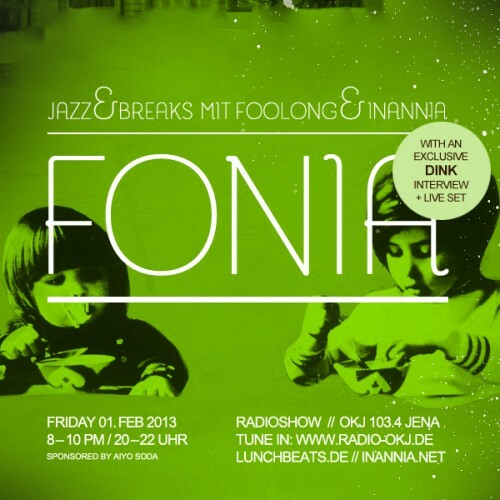 2 hours of jazz, breaks and other kinds of sound mayhem, presented by inannia and foolong. This time we welcomed as our guest: multi instrument wiz, movie aficionado and member of the reeverb entertainment crew – Dink . After an interview all around Richmond (Virginia), sound and the state of flooded living areas, Dink & his friends granted us an amazing live set! In case you don’t have an copy of it yet, check here for the “split tape” by tuamie & dink, out on dirty tapes. If listening is not enough and you want to “see” more of Dink’s work, check for his clips on youtube. If you make it to Copenhagen, don’t miss to have a “cheesecake” and visit one of the records stores (route 66!! )!